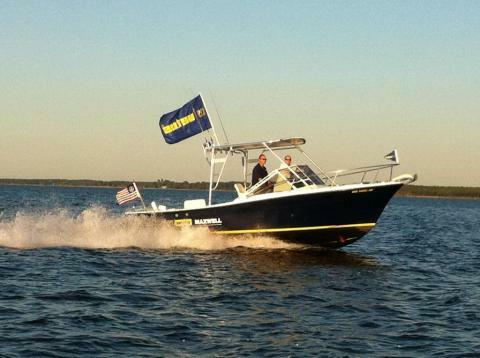 Available by appointment, the sea trials on the company’s bespoke 24ft Topaz demo-boat will showcase the precision-controlled and near-silent thrusters, plus the latest control technologies from Glendinning Marine and DockMate, as well as a YANMAR diesel engine. 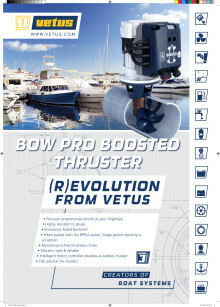 The VETUS BOW PRO thrusters are installed in the bow and stern to demonstrate the complete control possible in single-engine boats for even the most difficult maneuvers. 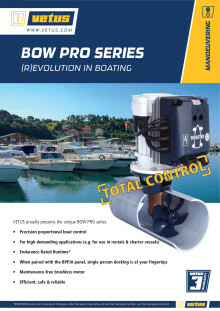 The innovative BOW PRO range combines VETUS’s highly-regarded electric thruster technology with its extremely quiet RimDrive, to provide near silent operation and precision proportional control. 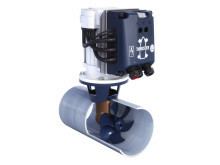 VETUS BOW PRO thrusters allow operators to command as little or as much power as needed with fingertip control and a runtime only limited by the size of the battery pack installed. 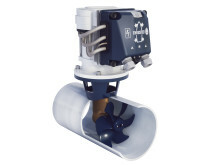 BOW PRO thrusters are highly durable, energy efficient, safe and reliable, and are fitted with a maintenance-free brushless motor. 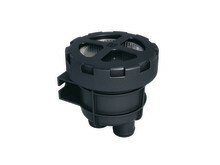 The induction motor can handle both 12V and 24V inputs, making the BOW PRO series suitable for almost all boats. 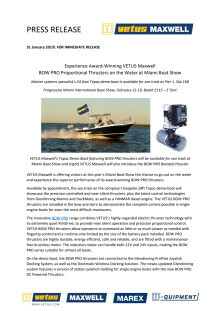 New at the Miami Boat Show, VETUS Maxwell is also introducing an innovative and even more powerful version of its BOW PRO thruster, the BOW PRO Boosted. 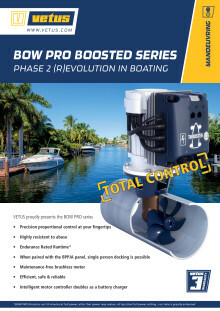 Incorporating an in-house-engineered intelligent motor controller, the new upgraded fully-proportional brushless models deliver all the remarkable features of the BOW PRO series with an added boost function. 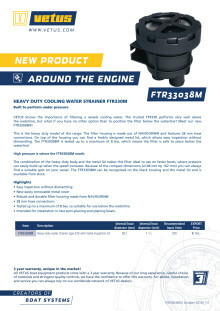 VETUS Maxwell is also presenting the FTR33038M for the first time at Miami - a rugged, highly-durable water strainer that is ideal for below-waterline installations and perfectly suited for fast semi-planing and planing vessels. Designed to perform under pressure, the heavy-duty model with newly-designed metal lid has been developed by VETUS using a composite polymer blend, NAVIDURIN®, which is able to withstand high levels of heat and pressure. Sea trials on the VETUS Maxwell demo-boat will run throughout the 5-day show at Pier 1, Slip 168. To schedule an appointment and secure the chance to see the latest technology, email sales-service@vetus.com or call 410-712-0740.